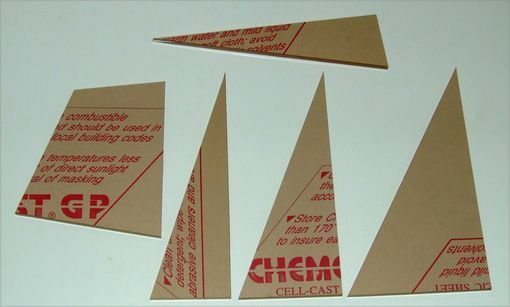 Precision laser cut acrylic angles. Angles are computer generated for accuracy and laser cut in thicknesses upto one quarter inch. Edges are smooth since they are cut using the laser heat. Clear, colored, and mirrored acrylic is available. Dimensions: Normal sizes are upto 12x24. Special items may be cut upto 24x24. My templates were exactly what I wanted with an extremely fast turnaround. Great experience and Frontier Technology will be my go to supplier if I ever have need of this type of work again.